We love Valentine's Day colors. 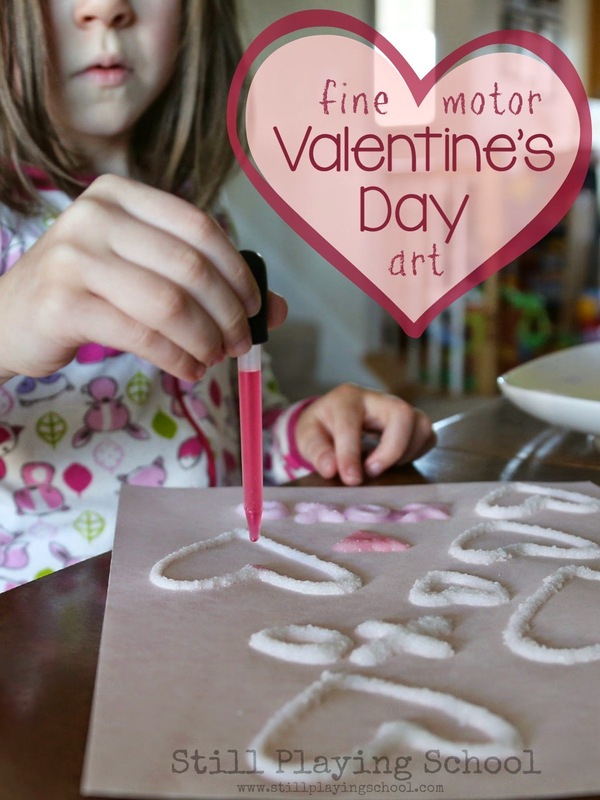 This fine motor art technique allowed us to mix and blend watercolor hearts in the most beautiful ways! This post contains affiliate links. We will earn a commission if you decide to make a purchase after clicking through the link. Read our disclosure policy here. 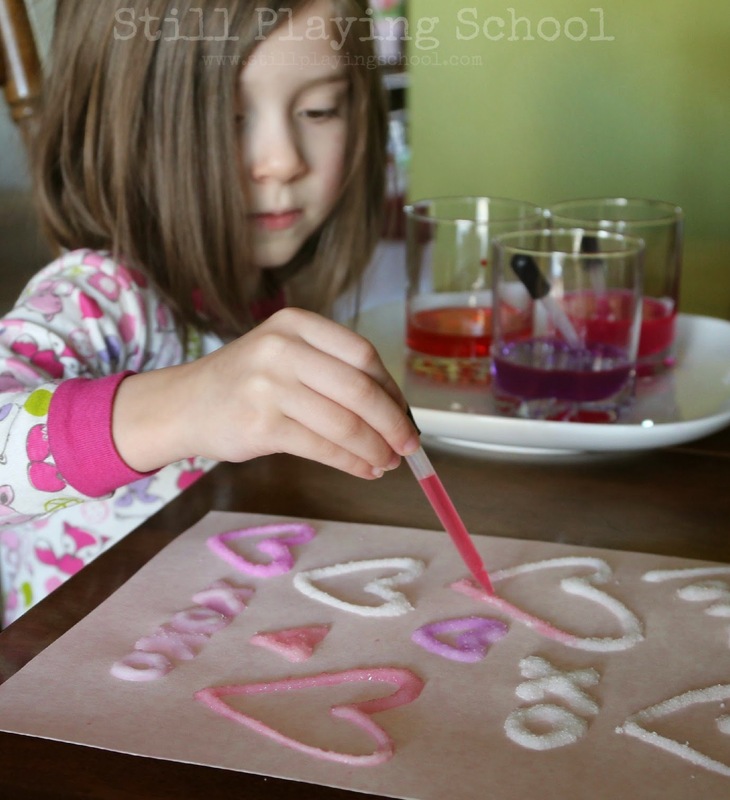 This lovely craft involves items you probably already have in your home or classroom. 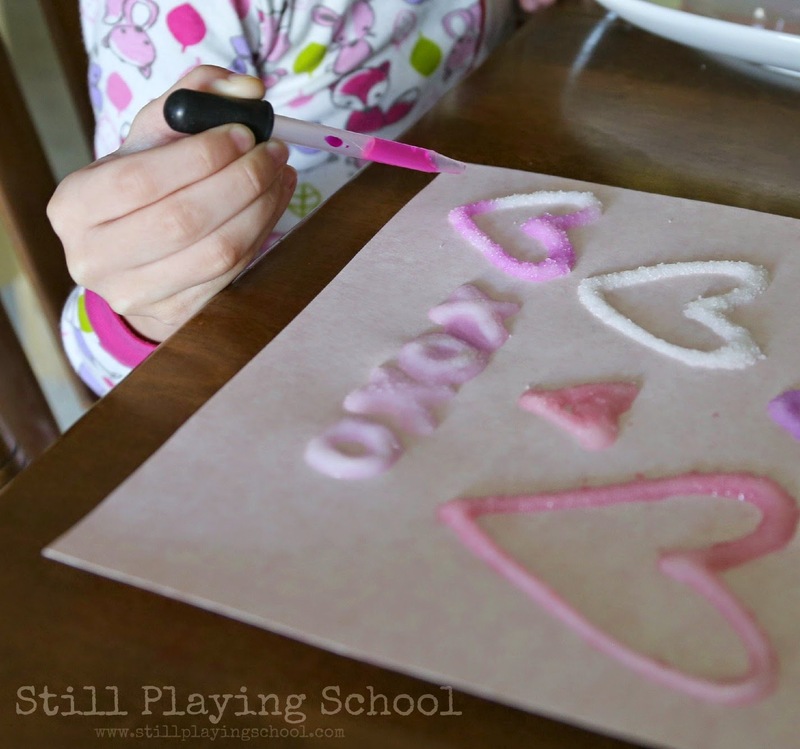 Kids will be excited to see the colors absorbed as they practice fine motor work! 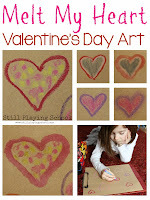 I drew the hearts on cardstock with glue but older kids would enjoy doing this step independently. I used our favorite glue bottle that never clogs or makes a mess! 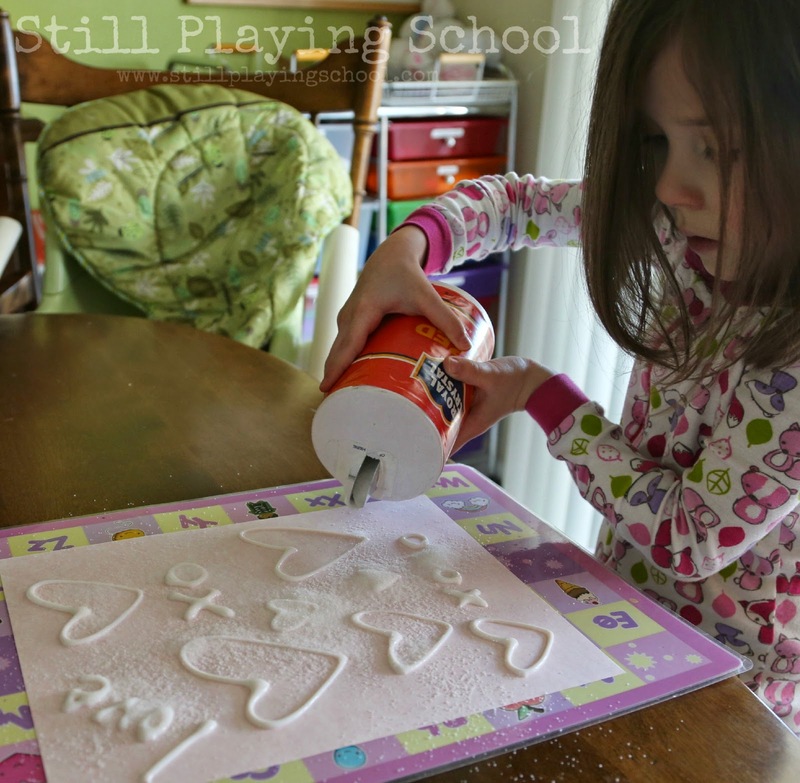 Next our preschooler shook table salt (from the dollar store!) on the designs. We put a place mat under her paper so that we could easily fold it up to clean up the stray salt. 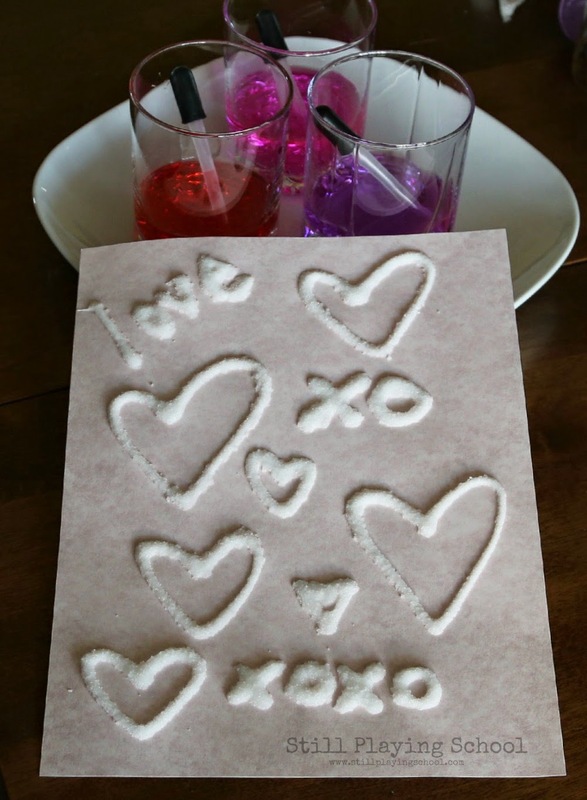 Much like glittering glue, we shook the paper back and forth gently until the salt covered every surface. I set up an art station for her with eye droppers and liquid watercolors in Valentine's Day colors. 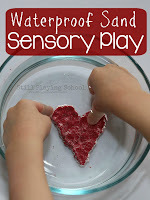 She loved using her fine motor skills to oh so carefully squeeze one drop at a time on the hearts. Sometimes she accidentally added a bit too much liquid but we sucked it back up into the eye dropper for easy clean up. After a few minutes she realized she could try more than one color on the same heart. The blending effect was uniquely beautiful. "I love how it shimmers," she said, as the color slowly flowed through the salt! 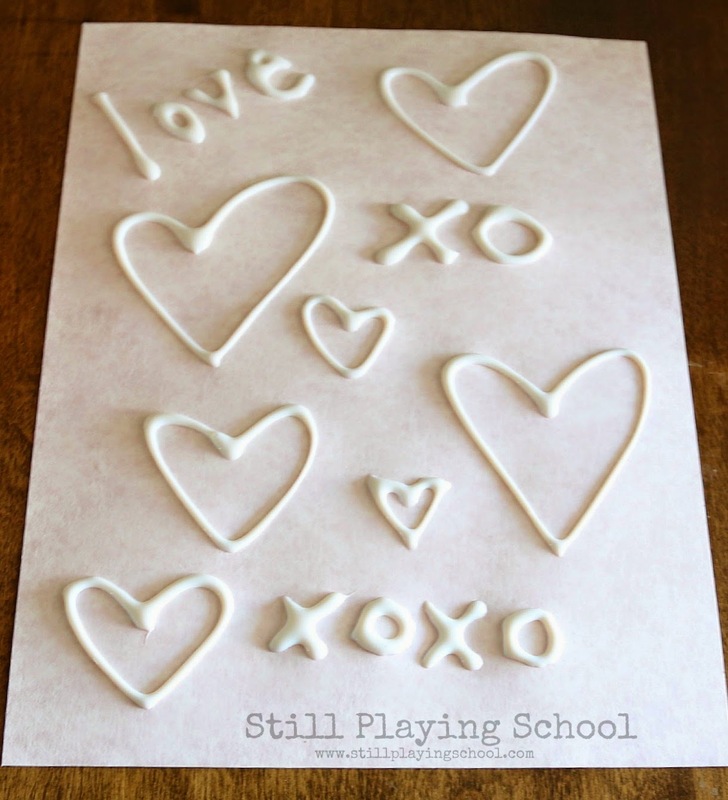 Follow Still Playing School's board Fine Motor Fun on Pinterest.